VMworld Europe is just a couple of weeks away now, and I can’t wait to spend a week in sunny Barcelona. Last year my trip got cancelled in the last minute, but that will not be the case this year. 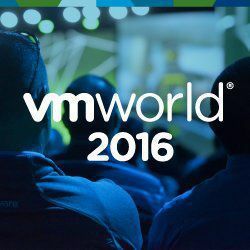 As usual I’m looking forward to a bunch of sessions, and general announcements, but for me the value of attending VMworld is in the networking with other people. Sessions and keynotes can be reviewed later, interacting with others can not. A lot of the people I get to meet while at VMworld are people I interact with often, but seldom meet face to face. For me, that is the true, and perhaps somewhat hidden, value of attending. Tech skills are great, but it’s the soft skills that makes you stand out. So, come look for me in at the blogger table and say hi! I suspect that’s where I’ll spend the most of my time.